As “The Biggest Little City in the World,” Reno pleasantly surprises vacationers with its profusion of entertainment options and rich culture packed into a relatively small metropolis. If you’re feeling lucky, take a chance at one of the slot machines or table games at any of the popular casinos along Virginia Street, Reno’s main drag. Beyond the casinos and gaming, Reno offers travelers many natural diversions and attractions. Venture out to the desert for a day of mountain biking and hiking. The city also boasts a number of world-class ski resorts, like Sugar Bowl, Heavenly, and Squaw Valley, which are only a short drive away. If relaxing sounds most appealing after a day on the slopes, Reno offers first-rate resorts and spas with ample opportunities for lounging and pampering. Despite its little size, Reno definitely has big appeal. Savor the unspoiled beauty of remote beaches and the majestic Sierra Nevada mountain range on your thrilling 30- or 45-minute flight. 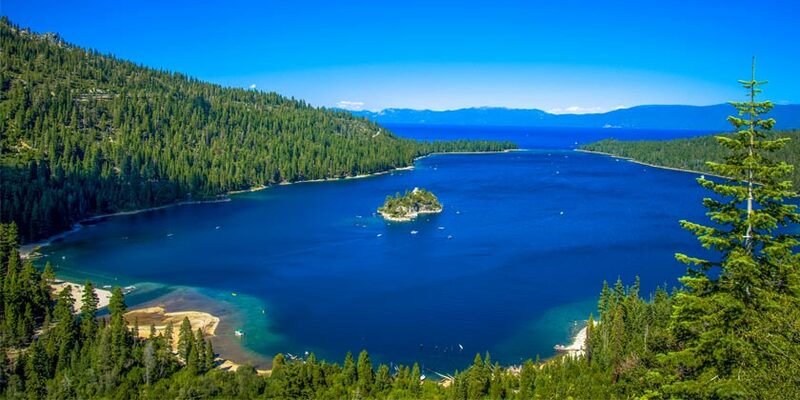 Hop aboard a luxury yacht for a relaxing and scenic experience of beautiful Lake Tahoe. Resort info: Recipient of the Mobil Three Star Award and rated a AAA Three Diamond hotel, Harrah's Reno is also a certified TAG Approved hotel. Resort info: This upscale resort appeals to gaming enthusiasts and active travelers with its exciting offering of unparalleled amenities. Resort info: A private oasis, this inspired resort provides exemplary accommodations, distinctive amenities and spectacular vistas.